A patent is a right granted for any device, substance, method or process which is new, inventive and useful. A patent is legally enforceable and gives the owner the exclusive right to commercially exploit the invention for the life of the patent. This is not automatic-you must apply for a patent to obtain exclusive rights to exploit your invention. an innovation patent is a relatively fast, inexpensive protection option, lasting a maximum of 8 years. The innovation patent replaced the petty patent on 24 May 2001. Patents give effective protection if you have invented new technology that will lead to a product, composition or process with significant long-term commercial gain. In return, patent applicants must share their know-how by providing a full description of how their invention works. This information becomes public and can provide the basis for further research by others. Australian patents are administered by the Patent Office of IP Australia, a Federal Government Organisation. 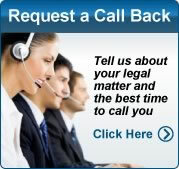 Complete your free Legal Enquiry Form now! See also our Intellectual Property Law & Lawyers Section by clicking here. Patents are the oldest form of intellectual property, but their historical origins are obscure. In England, in the fifteenth century, the monarch began to grant monopoly rights as a means of attracting new industries from continental Europe, but these were more in the nature of a royal licence to avoid the effects of guild regulations than a true grant of exclusive rights to carry on an activity. It was only in the following century that patents began to be granted in respect of inventions, and the patent system was put on a statutory basis for the first time in the seventeenth century with the passage of the Statute of Monopolies 1623 (Statute of Monopolies). Despite its age, this English statute continues to have relevance to Australian patent law today. As it first developed, the English patent was a slow, costly and cumbersome procedure for encouraging and protecting inventions. The procedure was described in derisory terms by Charles Dickens in a short story published in 1850, ‘A Poor Man’s Tale of a Patent’. Over the years there were many piecemeal reforms to the system, but it was the Patents Act 1883 (UK) that provided the basis of modern patent law. Patent legislation in Australia has always been closely modelled on that of the United Kingdom. Prior to Federation, each of the Australian colonies had its own legislation based on the Patents Act 1883 (UK). In 1901, the Australian Constitution gave the newly established Commonwealth Parliament power to make laws with respect to ‘copyrights, patents of invention and designs, and trade marks’.In 1903, this power was exercised with the enactment of the Patents Act 1903 (Cth). As in the United Kingdom, there have been many amendments to Australian patent legislation in response to formal commissions of inquiry. The 1903 Act was re-enacted with substantial changes in 1952 and again in 1990. The Patents Act 1990 (Cth) (Patents Act) provides the current legislative framework governing the grant and administration of patents in Australia. Patent law has been described as a ‘stressful if fertile union’ between certain contradictory principles: self-interest and the common good; monopoly rights and liberty; the ownership of ideas and public disclosure of knowledge. This union results from the dual goals of patent law—to benefit society by encouraging the provision of new and useful goods, and to encourage and reward inventiveness. These goals are achieved by providing incentives for innovation and knowledge sharing by granting monopoly rights, for a limited period, to exploit a new product or process. Monopoly rights encourage investment by providing an opportunity to recoup the financial outlays involved in developing an invention. They also reward the inventor by allowing a return to be made on the time and resources expended on research and development. The purpose of the patent system is not only to provide a financial incentive to create new knowledge and bring it to public benefit through new products; it also serves to add to the body of published scientific/technological knowledge. The requirement of disclosure of the details of patented inventions facilitates further knowledge and understanding of what was done by the patentee, and may lead to further technologic advance. A patent gives the inventor the right to stop others from exploiting the invention for a limited period. However, a patent does not grant an absolute right to exploit an invention in any way the inventor may choose. A patent holder may have to satisfy regulatory requirements in order to exploit the patented product or process; for example, a patented pharmaceutical compound may need approval under the Therapeutic Goods Act 1989 (Cth) before it can be marketed lawfully and sold as a treatment for a particular condition. Similarly, the use of a patented invention is subject to the general law; for example, the components required to manufacture a car may be the subject of many patents, but the car must still be used in accordance with motor traffic laws. A patent holder is not obliged to exploit a patented invention, but the failure to do so may have implications for the patent holder’s rights. For example, the patent could be subjected to compulsory licensing, or it could be used or acquired by the Crown under relevant provisions of the Patents Act. A patent holder may authorise others to exploit the patent by granting a licence on agreed terms. This may be on an exclusive, sole or non-exclusive basis, and almost certainly will require the licensee to pay royalties or other fees to the patent holder. It is important to note that while patents are a form of intellectual property, they do not confer ownership in the physical material described in the claims for a patented product or process. Thus, a patent over a genetic sequence does not amount to ownership of the sequence itself. Although there is considerable variance in detail from one jurisdiction to another, most countries apply similar tests for patentability: an invention must be novel (that is, new), must involve an inventive step, and must have a useful application. In addition, the description of an invention in a patent application must be sufficient to allow a person skilled in the relevant art to create the invention independently. Briefly, the Patents Act provides that an invention will be patentable if it is a ‘manner of manufacture’ within the meaning of s 6 of the Statute of Monopolies; is novel; involves an inventive or innovative step; is useful; and has not been used secretly within Australia prior to filing the patent application. Certain inventions are expressly excluded from patentability. Australia has relatively few express exclusions, but they include inventions involving ‘human beings, and the biological processes for their generation’, as well as inventions the use of which would be contrary to law. Other jurisdictions recognise a broader range of exceptions, including inventions involving diagnostic, therapeutic and surgical methods of treatment of humans and animals; and inventions whose commercial exploitation would be contrary to morality or public order. Australian patent law operates within an international legal framework, which shapes certain procedural and substantive aspects of the patent system. Australia has enacted legislation that regulates patenting practices within the Australian ‘patent area’ with respect to inventions involving any type of technology. The procedures for obtaining a gene patent in Australia are, broadly speaking, the same as those that apply to patents claiming any other type of technology. Section 51(xviii) of the Australian Constitution grants the Commonwealth Parliament power to make laws with respect to ‘copyrights, patents of inventions and designs, and trade marks’. Pursuant to this power, the Parliament has enacted the Patents Act 1990 (Cth) (Patents Act) and the Patents Regulations 1991 (Cth) (Patents Regulations). Patent protection in most countries is available for inventions that are new, involve an inventive step, and have a useful application. has not been used secretly within Australia before the priority date of the patent application. The Australian patent system is administered by the Patent Office of IP Australia. IP Australia is a division of the Department of Industry, Tourism and Resources, but operates independently and reports directly to the Minister. Under the Patents Act, the Commissioner of Patents has the power to grant a patent upon an application being filed with and examined by the Patent Office. IP Australia has developed the Patent Manual of Practice and Procedure (the Manual) to assist Australian patent examiners in applying the Patents Act and Patents Regulations. State and federal courts and the Administrative Appeals Tribunal (AAT) also have a role in administering the patent system. Decisions of the Commissioner of Patents may be subject to review by the AAT or the Federal Court of Australia. The AAT may undertake merits review of the Commissioner’s decisions with respect to certain procedural matters prescribed by the Patents Act. A direct application may be made to the Federal Court for judicial review in relation to other decisions of the Commissioner; essentially those related to the grant of patents or matters closely allied to the grant (for example, amendments to patent specifications and revocations). The Federal Court and state and territory Supreme Courts share original (first instance) jurisdiction over matters relating to the exploitation and enforcement of patent rights, including challenges to patent rights, infringement proceedings and compulsory licences. The AAT has no jurisdiction in relation to such issues. An applicant for a patent may elect to obtain protection for an invention under either system. Table A below outlines the key features of, and the difference in the scope of protection conferred by, standard and innovation patents. A standard patent is the basic form of patent protection for inventions under Australian law and is consistent with the minimum requirements for patent protection under the Agreement on Trade-Related Aspects of Intellectual Property Rights 1994 (TRIPS Agreement). Unless otherwise indicated, references to an Australian patent and discussions of patent rights in this Report relate only to the standard patent system. The innovation patent is a ‘second tier’ of protection, which was introduced in 2001 to replace the petty patent system. Innovation patents are intended to provide protection for ‘lower level’ inventions for which standard patent protection is not available and which are not covered by the designs legislation. The Patents Act also provides for the grant of a ‘patent of addition’ for an improvement in, or modification to, an invention claimed in a standard patent that has already been granted. A patent of addition may be obtained only by the owner of the earlier patent, or a person authorised by the owner. The term of a patent of addition expires at the same time as that of the patent on the main invention. If you have a matter involving a Patent or invention, then please complete your free Legal Enquiry Form to request immediate legal assistance on your legal matter. Patent rights do not arise automatically. A patent can be obtained only by following the procedure set out in the Patents Act and Patents Regulations. An understanding of the procedure for obtaining a patent is important to understanding Australian patent law generally. The steps in obtaining an Australian patent are described below. For a patent to be granted, an eligible person must file an application in the form prescribed by the Patent Office. Eligible persons are the inventor of the invention claimed in the application, or a person to whom the inventor has assigned his or her rights in the invention. A patent application must include a specification of the invention, which contains instructions adequate to enable a skilled person in the relevant area of technology to produce or perform the invention. The specification must also indicate the ‘claims’ that define the invention; that is, the scope of protection that the applicant is seeking. Australian patent law recognises two types of patent applications—provisional and complete. Provisional and complete applications may be filed to obtain either a standard patent or an innovation patent. A provisional application need only contain a description of the invention. Often, an inventor files a provisional application before all the details of an invention are known. The applicant then has 12 months to file a complete application. A complete application must contain a full description of the invention, together with claims, and an abstract summarising the invention being disclosed. A complete application may be based on one or more provisional applications, and only those claims that are ‘fairly based’ on the relevant provisional application will be entitled to the priority date of the provisional application. The ‘priority date’ of a patent claim is important in determining whether the requirements for patentability of an invention have been met. The requirements of novelty and inventive step are assessed against the prior art as it existed before the priority date. The priority date is typically the date on which a provisional application is filed in Australia, or the date on which an application is filed in another participating jurisdiction. An applicant may also elect to file a complete application with the Patent Office under the Patent Cooperation Treaty (PCT). A PCT application designates all the jurisdictions that are parties to the PCT (including Australia), and secures an international priority date. PCT applications that have entered the national phase (and will be processed as a complete application) are the main type of applications received by IP Australia. In 2002–03, 16,278 PCT applications selected Australia as one of the jurisdictions in which an applicant wished to obtain patent protection and entered the national phase in Australia. During the same period, 5,694 non-PCT applications for standard patents were filed with IP Australia. Each patent application may claim protection only for a single invention. If, following assessment of a patent application, a patent examiner finds that an applicant has claimed more than one invention in the application, the applicant may elect to file a ‘divisional application’—that is, a new application divided from the original or parent application. A divisional application allows an applicant to continue to benefit from the priority date of the original application. Divisional applications may claim subject matter not contained in the original application so long as all the features of at least one of the claims were disclosed in the original application. There are no statutory limits on the number of divisional applications that may arise from a single complete application. The Patents Act restricts the subject matter that may be claimed in a divisional application, depending on the time at which it is filed. However, a divisional application, once filed, is subject to the same procedural requirements, including examination, as any other complete patent application. In its submissions to the Inquiry, IP Australia indicated that divisional applications are currently ‘open to abuse’. In practice, such abuse may occur only in a small number of cases. However, IP Australia suggested that patent applicants are able to make strategic use of divisional applications in order to delay determinations by the Patent Office as to the proper scope of patent claims, or as to whether a patent should be granted. IP Australia commented that the Patents Act allows an applicant to use a divisional application to obtain a de facto monopoly by extending the period within which to respond to an examiner’s adverse report. While this use of divisional applications may be legitimate in some circumstances, IP Australia suggested that it might be used tactically by an applicant in ‘newly developing areas of technology, such as genetics, where there is a question of [the] patentability of the subject matter’. Further, an applicant might avoid a decision in an opposition proceeding by withdrawing the opposed application and refiling it as a divisional application. To address these issues, IP Australia suggested that limitations could be imposed on the circumstances in which divisional applications are available. However, the majority of submissions and consultations on this issue did not support imposing additional limitations either on the period within which a divisional application may be filed or on the subject matter that may be claimed in a divisional application. Submissions and consultations questioned whether divisional applications are being misused, and commented on the lack of evidence that divisional applications claiming genetic inventions present a special case. Once an application has been filed with the Patent Office, a number of additional steps must be followed before a patent may be issued. An applicant must file a request that the Patent Office examine the application. Examination is not automatic and a request for examination must generally be filed within five years of the date of filing a complete specification. However, IP Australia’s standard practice is to direct applicants to file a request for examination, if no request has been received, at approximately 32 months from the priority date, although this period may vary according to IP Australia’s workload. An abbreviated examination may be requested if an Australian patent application is related to a patent that has already been granted by the patent office in a prescribed foreign jurisdiction. The purpose of examination is to determine whether the invention meets the statutory requirements for patentability set out in the Patents Act. The Patent Office carries out searches of previously published documents—including scientific and patent literature (‘prior art information’)—to determine the prior art material relevant to the claimed invention. In addition, an applicant must disclose to the Patent Office the results of searches carried out by or on behalf of foreign patent offices in respect of the invention claimed in an Australian application, or in a corresponding patent application filed overseas. An examiner with expertise in the relevant area of technology then examines the application, taking into account the information contained in the results of these searches and any other prior art information. Examination of a patent application typically involves an exchange between the examiner and the applicant about the appropriate scope of the specification and the claims in light of the relevant prior art. This process is known as ‘prosecution’ of a patent application. Following receipt of a request for examination, an examiner will make an initial assessment of an application for a standard patent and either accept the application as filed or issue a ‘first report’ detailing the procedural and substantive grounds for objecting to the application. An applicant then has a period of 21 months to address the objections raised by the examiner. The examiner may issue further reports for each response by the applicant that does not satisfy the objections raised. An application for a standard patent will generally lapse if it is not in order for acceptance within 21 months after the date of the first report. The Commissioner of Patents must notify an applicant of the decision to accept or refuse a patent application, and must publish notice of the decision in the Official Journal of Patents (Official Journal). Formal refusal of an application is rare. More commonly, applications for standard patents lapse for failure to obtain acceptance within the prescribed 21 month period following a first report. The Official Journal also publishes notices of lapsed applications. Publication of a notice of acceptance in the Official Journal should be distinguished from the publication of a complete specification for a standard patent. This typically occurs 18 months after the earliest priority date for the application, and is also advertised in the Official Journal. An application is confidential prior to publication of the complete specification, and only bibliographic details—such as the applicant’s name and title of the invention—are made available by the Patent Office. A patent is granted when the Commissioner of Patents causes the patent to be sealed with the seal of the Patent Office. For a standard patent, this will occur within six months of the date of publication in the Official Journal of the notice of acceptance of the application, unless the application is opposed. Agreement on Trade-Related Aspects of Intellectual Property Rights 1994 (TRIPS Agreement). Australian domestic law has given effect to significant provisions of each of these instruments. (b) where the invention is a method or process—use the method or process or do any act mentioned in (a) in respect of a product resulting from such use. A patent does not, however, grant an absolute right to exploit an invention. A patent holder may have to satisfy other legal requirements in order to exploit the patented product or process. For example, a patented pharmaceutical compound may need to be approved under the Therapeutic Goods Act 1989 (Cth) before it can lawfully be marketed and sold as a treatment for a particular condition. In addition, a patent holder’s ability to exploit the invention may be subject to earlier patents not owned by the patent holder. A patent holder may assign or license its patent rights to a third party. An assignment of a patent results in the transfer of all of the rights owned by the patent holder to a third party (the assignee). A licence of a patent does not transfer ownership of any patent rights; rather, it establishes terms upon which a third party (the licensee) may exercise certain patent rights without such use constituting infringement. A patent holder is not obliged to exploit an invention claimed in a patent at any time during the patent term, nor to license or assign its patent rights. However, the failure to exploit the invention may encourage others to invoke the Crown use or compulsory licensing provisions in the Patents Act. Patent rights remain subject to challenge even after the Commissioner of Patents accepts a patent application and after the patent is sealed. Section 20 of the Patents Act expressly states that nothing in the Act or in the PCT guarantees that a patent is valid. A standard patent generally has a term of 20 years, commencing on the date of the patent; an innovation patent has a term of 8 years. The term of a standard patent relating to ‘pharmaceutical substances’ may be extended in certain circumstances. Art 33 of the TRIPS Agreement requires member States to provide patent protection for a term of not less than 20 years from the filing date. Article 27(1) requires member States to make patent protection available for all inventions, without discrimination as to the field of technology to which an invention relates. The Patents Act was amended in 1994 to extend the term of protection for a standard patent from 16 years to 20 years in order to bring Australian patent law into conformity with the TRIPS Agreement. While the TRIPS Agreement provides some flexibility to member States in developing their own patent laws, the minimum term of patent protection is not subject to exceptions or qualifications. The TRIPS Agreement does, however, permit member States to require compliance with reasonable procedures and formalities as a condition of the acquisition or maintenance of intellectual property rights. Such procedures and formalities include the payment of fees for the filing and processing of a patent application, and for maintaining existing patent rights. In addition, the Australia–United States Free Trade Agreement contains a provision that might affect the term of patent. Article 17.9.8 provides that, if there are unreasonable delays in a Party’s issuance of patents, that Party shall provide a means to adjust the term of the patent to compensate for the delay. If, in the future, there is evidence of unreasonable delay in the grant of Australian patents it may be necessary to amend the Patents Act to provide an extension of the patent term. MPEP Q & A 167: When Must Applicants Timely File a Notice of Foreign Filing to Avoid Abandonment of a U.S. Application? MPEP Q & A 154: What Does the Broadest Reasonable Interpretation (BRI) Do? MPEP Q & A 153: When Will a Practitioner be Responsible for Another Practitioner’s Violation of the USPTO Rules of Professional Conduct? MPEP Q & A 146: When Can a Combination as Claimed Show that Inventions are Distinct? These news come from Patent Education Series. These news come from IPWatchdog.com | Patents & Patent Law. Use the links below to change slideshow content. Understanding Intellectual Property Learn about IP and how it applies to you and your business · What is IP ..
Internet resources relating to Australian Intellectual Property Law, including the Trade Marks Act 1995. You Are Here; Home -; Topics -; Law and justice -; Intellectual property .. The Advisory Council on Intellectual Property (ACIP) is an independent body appointed by .. and disciplinary regimes for Patent and Trade Mark attorneys in Australia. Australian Government Attorney-General's Department. Attorney Generals Department .. Trade law. International Trade law ..
Rich Text Format - Intellectual property lawyers who have to apply these words are lonely people. They have to invent imaginary, but boring friends. Their favourite friend is a ..
Rich Text Format - If harmonization of Intellectual Property law between NZ or Australia is to proceed then FICPI suggests that the single regulatory framework for patent attorneys ..
Bills Digest 25, 2011-12 - Intellectual Property Laws Amendment ..
and the Institute of Patent and Trade Mark Attorneys: see Law Council of Australia, Submission to Intellectual. Property Laws Amendment .. Advice and assistance in design registration can be sought from a professional. Patent attorneys and intellectual property lawyers can be found in the Yellow ..
Rich Text Format - enforcement and exploitation of intellectual property rights. A trans-Tasman regulatory framework would, however, also allow for New Zealand patent attorneys ..
Submission on the Single Trans-Tasman Regulatory Framework for .. Attorneys. All of these partners are qualified as both New Zealand and. Australian patent attorneys. A] Park Law specialises in intellectual property and .. Visiting Patent & Trade Mark Attorney Program. Davies Collison Cave, Patent & Trade Mark Attorneys, together with its associated intellectual property law firm.. I DX SP20202, Wellington or PO Box 5041, Lambton Quay ..
Society's Intellectual Property Law Committee. In these .. It is suggested that wherein respect of a New Zealand lawyer/patent attomey a complaint is made ..
AGS - Australian Government Solicitor .. Competition and consumer law, Menu Plus .. intellectual property reform processes, including 'digital agenda' issues ..
Understanding Intellectual Property Learn about IP and how it applies to you and .. The Institute of Patent and Trade Mark Attorneys of Australia (IPTA) - IPTA is the .. Law Council of Australia - The Law Council website links to the various law ..